But behold, the life of my servant shall be in my hand; therefore they shall not hurt him, although he shall be marred because of them. On His second day of visiting the people at Bountiful, Jesus Christ prophesied, “But behold, the life of my servant shall be in my hand; therefore they shall not hurt him, although he shall be marred because of them” (3 Nephi 21:10). The servant spoken of in this passage relates to four poems—known to biblical scholars as the “servant songs”—which are found in the book of Isaiah. Similar to 3 Nephi 21:10, the introduction to Isaiah’s fourth servant song speaks of a servant whose “visage was so marred more than any man” (Isaiah 52:14). In addition to these interpretations, Gaye Strathearn and Jacob Moody have suggested that the servant mentioned in 3 Nephi 21:10 can be meaningfully interpreted as the Book of Mormon itself. They argued that Christ’s reference to the servant should be seen as part of a “single thematic unit, structured in a chiastic pattern and centering on the writings of Isaiah.” This literary unit focuses on the gathering of Israel, and at “the very heart of [its] chiastic structure” Jesus Christ described the coming forth of the Book of Mormon as a sign of the gathering. In the first, Jesus quoted Isaiah 52:15, which depicts rulers being astonished at the servant’s message, “for that which had not been told them shall they see; and that which they had not heard shall they consider” (Isaiah 52:15). 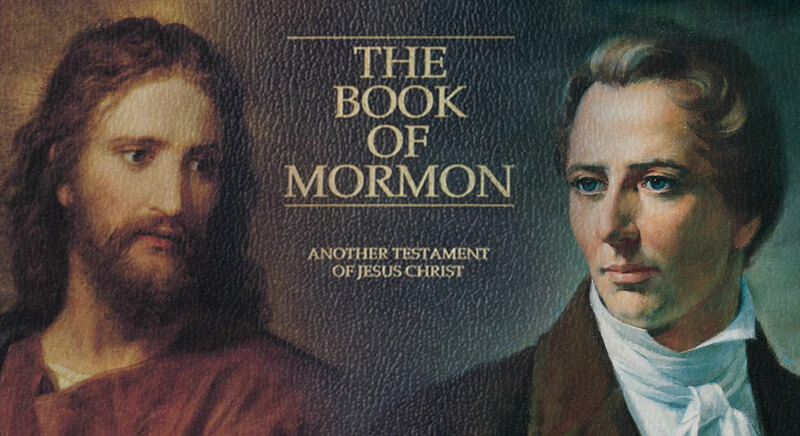 Christ then immediately added a latter day prophecy about the Book of Mormon, wherein the Father would provide a “great and a marvelous work” among the people which some would not believe, “although a man shall declare it unto them” (3 Nephi 21:9). In His second statement, found in 3 Nephi 21:10, Jesus explicitly mentioned that the “life of my servant shall be in my hand.” This not only parallels the words “my servant” found in Isaiah 52:13, but it also thematically corresponds to Isaiah 53, which demonstrates that the Lord was aware of and perhaps able to remove the servant’s suffering, if He so desired (see Isaiah 53:10–11). Similarly, the Book of Mormon shall come forth “out of the earth … by the hand of the Lord, and none can stay it” (Mormon 8:26). Immediately following this 3 Nephi statement, the Lord declared, “I will show unto them that my wisdom is greater than the cunning of the devil” (3 Nephi 21:10). Interestingly, in a context directly dealing with the Book of Mormon, this phrase is quoted verbatim in Doctrine and Covenants 10, thus adding even further evidence for a correlation. Strathearn and Moody suggested that in identifying the servant in Isaiah with the Book of Mormon, Jesus was “using a literary device called personification, which applies human attributes to inanimate objects.” This interpretation is not without merit, for in many ways the Book of Mormon can be seen as a type or symbol of Jesus Christ. While theirs is not the only valid understanding of this text, Strathearn and Moody’s interpretation of 3 Nephi 21:10 certainly provides a rich and meaningful contribution. Recognizing that the Book of Mormon acts as a servant of the Lord amplifies the truth that it literally embodies the words of Christ (see 2 Nephi 33:10–11). Concerning the coming forth of the Book of Mormon, the Lord declared, “he that believeth not my words believeth not my disciples” (Ether 4:10) and similarly “he that will not believe my words will not believe me—that I am” (v. 12, cf. 3 Nephi 28:34). For 179 years this book has been examined and attacked, denied and deconstructed, targeted and torn apart like perhaps no other book in modern religious history—perhaps like no other book in any religious history. And still it stands. … I testify that one cannot come to full faith in this latter-day work—and thereby find the fullest measure of peace and comfort in these, our times—until he or she embraces the divinity of the Book of Mormon and the Lord Jesus Christ, of whom it testifies. Having been written at the command of Jesus Christ by servants of Jesus Christ, the Book of Mormon aptly functions as composite “servant” to convey the words of Christ. Concerning the authority of His servants to proclaim His words, the Lord has declared “whether by mine own voice or by the voice of my servants, it is the same” (Doctrine and Covenants 1:38). Gaye Strathearn and Jacob Moody, “Christ’s Interpretation of Isaiah 52’s ‘My Servant’ in 3 Nephi,” Journal of the Book of Mormon and Other Restoration Scripture 18, no. 1 (2009): 4–15. Terry B. Ball, “Isaiah’s ‘Other’ Servant Songs,” in The Gospel of Jesus Christ in the Old Testament, ed. D Kelly Ogden et al. (Provo, UT: Religious Studies Center, Brigham Young University, 2009), 207–218. Richard Dilworth Rust, “‘All Things Which Have Been Given of God . . . Are the Typifying of Him’: Typology in the Book of Mormon,” in Literature of Belief: Sacred Scripture and Religious Experience, ed. Neal E. Lambert (Provo, UT: Religious Studies Center, Brigham Young University, 1981), 233–244. See Gaye Strathearn and Jacob Moody, “Christ’s Interpretation of Isaiah 52’s ‘My Servant’ in 3 Nephi,” Journal of the Book of Mormon and Other Restoration Scripture 18, no. 1 (2009): 5: “It has long been noted that Isaiah, starting in chapter 41, includes a series of four Servant Songs or poems (42:1–7; 49:1–6; 50:4–9; 52:13–53:12), three of which are also included in the Book of Mormon (see 1 Nephi 21:1–8; 2 Nephi 7:4–9; Mosiah 14–15; 3 Nephi 20:43–45; 21:8–10); See also, Terry B. Ball, “Isaiah’s ‘Other’ Servant Songs,” in The Gospel of Jesus Christ in the Old Testament, ed. D Kelly Ogden et al. (Provo, UT: Religious Studies Center, Brigham Young University, 2009), 207–218. Strathearn and Moody, “Christ’s Interpretation of Isaiah,” 7. See Book of Mormon Central, “Why Did Abinadi Talk About the Suffering Messiah? (Mosiah 14:4; Isaiah 53:4),” KnoWhy (May 3, 2016) ; Book of Mormon Central, “Who Is the Servant of Isaiah 49/1 Nephi 21? (1 Nephi 21:3; Isaiah 48:3),” KnoWhy 24 (February 2, 2016); Strathearn and Moody, “Christ’s Interpretation of Isaiah,” 8. Strathearn and Moody, “Christ’s Interpretation of Isaiah,” 8. This unit spans 3 Nephi 20:10–23:5. See Strathearn and Moody, “Christ’s Interpretation of Isaiah,”9. For the chiastic structure, see Book of Mormon Central, “Why Did Jesus Mix Together Micah and Isaiah? (3 Nephi 20:25),” KnoWhy 214 (October 21, 2016). Strathearn and Moody, “Christ’s Interpretation of Isaiah,” 11. See also, Book of Mormon Central, “Why is the Presence of Chiasmus in the Book of Mormon Significant? (Mosiah 5:10–12),” KnoWhy 166 (August 16, 2016). Strathearn and Moody, “Christ’s Interpretation of Isaiah,” 11. See Strathearn and Moody, “Christ’s Interpretation of Isaiah,” 11. See Strathearn and Moody, “Christ’s Interpretation of Isaiah,” 12. Strathearn and Moody, “Christ’s Interpretation of Isaiah,” 12. Doctrine and Covenants 10:42–43: “And behold, you shall publish it as the record of Nephi; and thus I will confound those who have altered my words. I will not suffer that they shall destroy my work; yea, I will show unto them that my wisdom is greater than the cunning of the devil” (italics added). See Strathearn and Moody, “Christ’s Interpretation of Isaiah,” 12. See Richard Dilworth Rust, “‘All Things Which Have Been Given of God . . . Are the Typifying of Him’: Typology in the Book of Mormon,” in Literature of Belief: Sacred Scripture and Religious Experience, ed. Neal E. Lambert (Provo, UT: Religious Studies Center, Brigham Young University, 1981), 233–244. Todd Parker, “Abinadi: The Message and the Martyr (Part 2),” (FARMS Transcripts, 1996), 2. Parker, “Abinadi: The Message and the Martyr,” 2. As satisfying as Strathearn and Moody’s interpretation of 3 Nephi 21:10 may be, they acknowledged that previous “interpretations have merit” and that Christ’s association of these Isaiah passages with the Book of Mormon simply “add[s] another interpretive layer to the servant.” See Strathearn and Moody, “Christ’s Interpretation of Isaiah,” 13. Jeffrey R. Holland, “Safety for the Soul,” Ensign, November 2009, 89–90, online at lds.org.